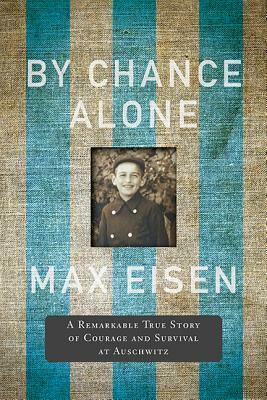 Tibor “Max” Eisen was born in Moldava, Czechoslovakia into an Orthodox Jewish family. He had an extended family of sixty members, and he lived in a family compound with his parents, his two younger brothers, his baby sister, his paternal grandparents and his uncle and aunt. In the spring of1944–five and a half years after his region had been annexed to Hungary and the morning after the family’s yearly Passover Seder–gendarmes forcibly removed Eisen and his family from their home. They were brought to a brickyard and eventually loaded onto crowded cattle cars bound for Auschwitz-Birkenau. At fifteen years of age, Eisen survived the selection process and he was inducted into the camp as a slave labourer. One day, Eisen received a terrible blow from an SS guard. Severely injured, he was dumped at the hospital where a Polish political prisoner and physician, Tadeusz Orzeszko, operated on him. Despite his significant injury, Orzeszko saved Eisen from certain death in the gas chambers by giving him a job as a cleaner in the operating room. After his liberation and new trials in Communist Czechoslovakia, Eisen immigrated to Canada in 1949, where he has dedicated the last twenty-two years of his life to educating others about the Holocaust across Canada and around the world.